So I’m not entirely sure that this can be considered an authentic Australian recipe. After all, it was created by a French chef at a a London hotel. BUT it was created in honor of Australian opera singer Dame Nellie Melba and many sources claim that its an iconic Australian dessert, so I’m including during my time in Australia. While I do think food and dessert trends are kind of silly, it seems like peach melba has suffered from an uncool reputation for quite a long time. Back when I worked in a restaurant I always wondered why anybody ordered them… but that was because we used sad canned peaches and a jar of raspberry sauce of questionable quality. 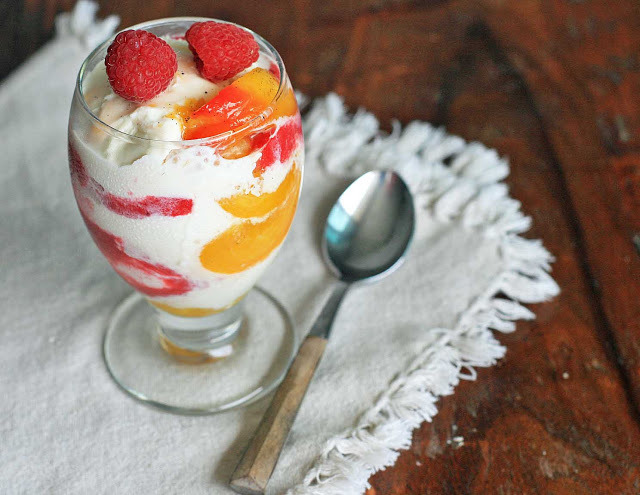 But vanilla ice cream layered with fresh peaches quickly poached in a vanilla syrup and a freshly made raspberry sauce? Sign me up. Its a pretty summer dessert that you don’t even have to turn on the oven to make. You can also save the peach poaching liquid; I mixed some with some sparkling water for a killer vanilla-peach spritzer. Heat the water (and wine, if using), sugar, lemon juice, and vanilla pod in a large saucepan over medium heat to dissolve the sugar. Bring the pan to the boil and let it cook for several minutes. Reduce heat and bring the syrup to a fast simmer. 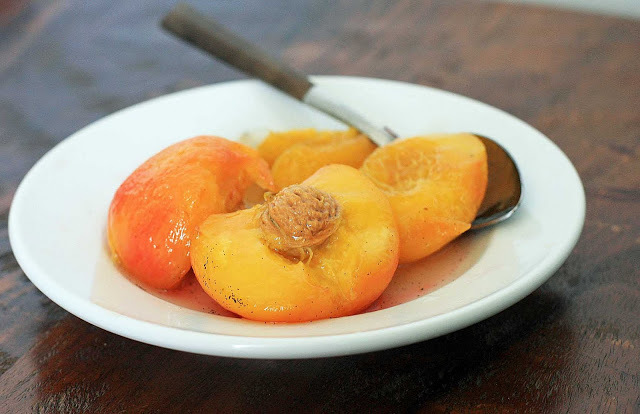 Poach the peaches for several minutes until just softened. Remove the peaches to a plate and let cool. 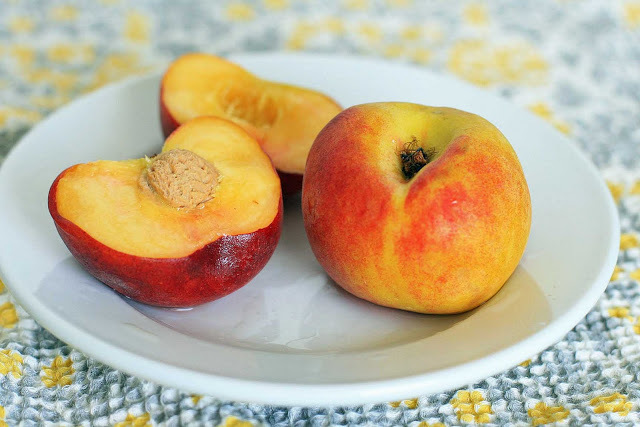 When cool, remove the peels and pits and cut each peach half into 4 pieces. Combine the raspberries, powdered sugar, and lemon juice in a blender or a food processor and blend until smooth. If you’re using a standard blender or food processor, sieve to remove the seeds… if you’re using a high speed blender like a Vitamix, you can skip this step. To assemble alternate layers of the poached peaches, the raspberry sauce and vanilla ice cream and garnish with a couple raspberries.